Employers in New Zealand are using social media profile as part of the hiring process. Is this the way employers are hiring in the future? When I read that Apple iPad reaches 1 million sales faster than the iPhone, I guess the world is more than ready for mobile devices. You may know that tablet computing is not exactly a new technology. Microsoft have tried in the past and failed, but somehow the people at Apple has got it right. Besides the technology and design of the iPad could factors such as the emergence on social networks have an influence to make it a winning formula? Or could saving the environment and convenience that it provide has something to do with it? I sure would love to read my ebooks and newspapers on the iPad if I have the choice. It is a lot easier than flipping through the morning papers in the subway without hitting someone in the face. Because iPhone screen may not be big enough and it may not always be convenient to boot up a notebook (I know I have been in that situation many times), mobile device like this can make it easier to be constantly connected to catch up with the most up-to-date news in Twitter or Facebook. The latest stock market news or development of the oil spill, because BP turns to Twitter and Facebook, are literally at your fingertips. All these while chatting with friends on Facebook or running through emails. Talking about Facebook, their privacy issue may still need more tweaking especially when it exposed users chats briefly. You can read about it more at Facebook privacy snafu exposed users chats. There are so many social networks around right now to name. And I could not believe the amount of accounts that my buddy has signed up. Sometimes I do wonder how he keep up with all of them, if he did. Sure social networking is fun and you get to meet nice people and even meet people that you thought that you have lost contact with since high school. But there are more to that. 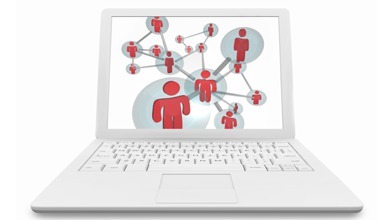 Businesses are using social networking sites to get their “fans” and clients together to talk about them online. These are generally done online through social networking sites like Facebook, Friendster etc. Things have gone mobile ever since, and I am not just talking about mobile versions of Facebook, Friendster etc. There is a relatively new social network known as FourSquare. It uses GPRS/WiFi and GPS to locate your mobile device and lets you virtually “check-in” at your location. You can then find people around you and leave a comment about your location, say a café for instance. I know it sounds a little geeky but here is an article about Creating Buzz On Social Networks. Facebook has certainly been in the spotlight lately in regards to its privacy issue. So what a CEO to do when that happens? He speaks to the press, The Washington Post to be exact. Time Magazine’s May 31 issue will hit newsstands with a cover and feature story dedicated to the “scary” side of Facebook. The feature article by Dan Fletcher delves inside Facebook ( ) and its methodologies for hooking new users and explores the historical events leading up to present-day privacy concerns around Open Graph and instant personalization. Although Time Magazine no longer has the same distribution it once did, the print piece — with its online duplicate — is bound to get traction from a very mainstream audience. Unfortunately for Facebook, it looks like the controversy around its approach to user privacy isn’t going away anytime soon. This article shows that there is more to Facebook than just poking your friends, using it for business purposes, and for entertainment purposes. There lives that has been changed because of it.